I love masal vada. Its so crispy, crunchy, tasty and full of flavor. My husband doesn't like it so I rarely make it and even if I do its only for me. 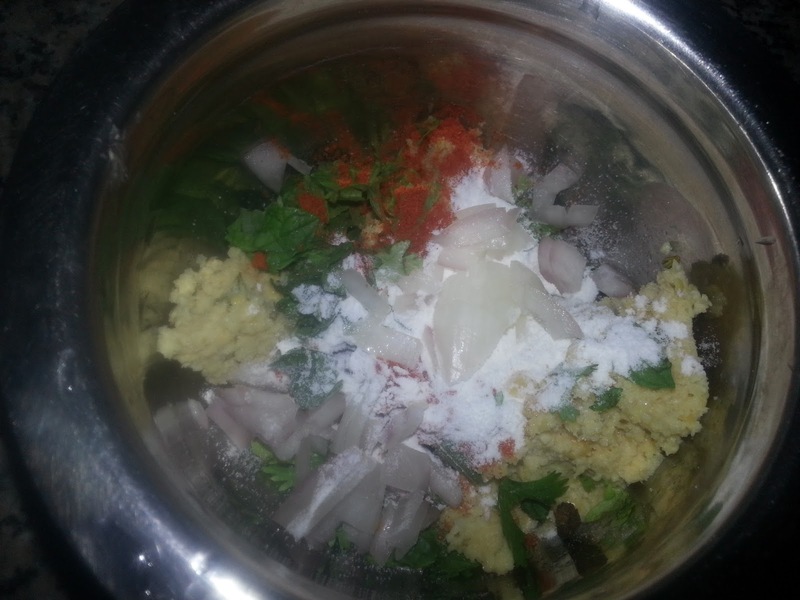 Ever since I came across this recipe I have followed it and it ensures satisfactory results every time. 1. Blend the ginger, garlic and fennel seeds coarsely in a mixer. 2. 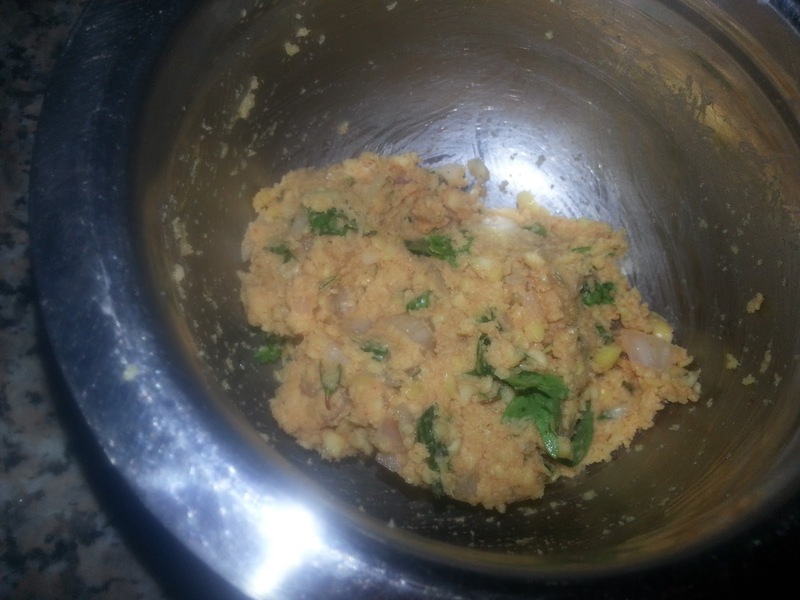 Add the soaked chana daal without any water and blend to a coarse mixture. Its ok to have a few daal pieces. 3. To this mixture add all the other ingredients except oil and mix well. 4. Wet your hands and divide the mixture into portions. 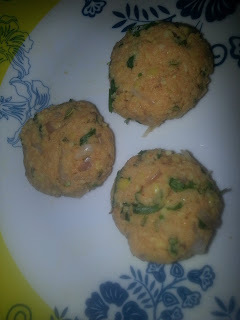 Roll each portion into a ball and flatten it to form a vadai. 5. Heat oil for deep frying. 6. 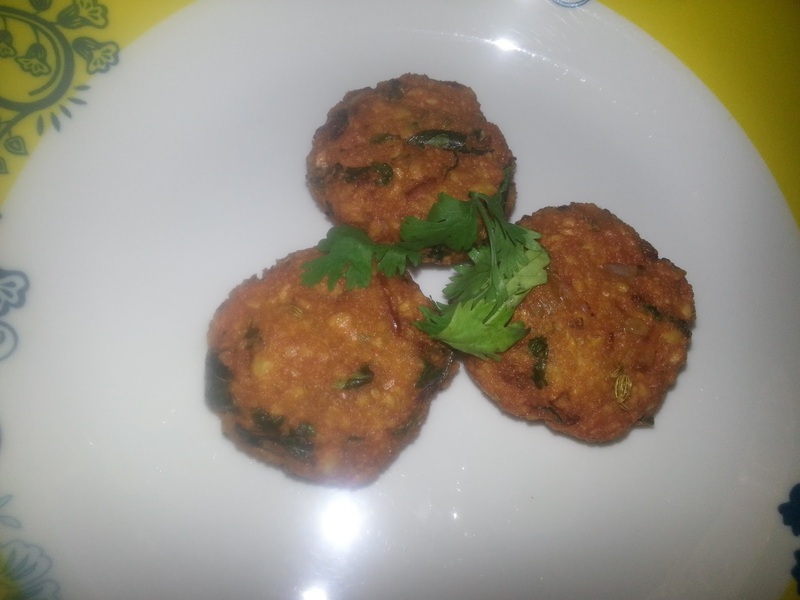 Reduce the flame to medium and deep fry the vadas to golden brown by turning them a few times.